The history is a set of facts, circumstances, and their inter-relationships and connections. Historians are the people who discover the history for us. Conduct research. Analyze the facts. Thanks to them, we should know the past of our ancestors. Our origins. It should be no matter, whether investigated legacy is worthy of praise or condemnation. But rarely the history is objective. For this purpose, a "history" was invented and the "historians". "History" is written to hide something, something to arouse, something to hand down to posterity. Nations write it out for themselves. "Historians" for departments and their promoters. "Researchers" for the grants. For Poles, king Jagiello is a Polish king. Who was he for the Lithuanians? Is it unauthorized (for Lithuanians) to claim that Jagiellonian Poland dynasty is Lithuanian Poland - because was ruled by Lithuanian kings? Historical relativism is not a new thing. The history of Prusia did not escape it. Ancient people, who after their lands conquered by the German Teutonic Knights, suddenly vanished into thin air. Despite the Teutonic sources, indicating, that from the genocide survived approximately 100 thousand Prusians (which was a significant number), about this fact historians remain silent. It is not difficult to avoid the impression of the analysis avoidance of what has happened to this people. They try to draw conclusions, that despite the fact, that the people who did not give up in the conquest, suddenly disappeared in every field and were assimilated. With the Germans and Poles. A nation that for freedom was ready to sacrifice everything, and from day to day loses its identity. These proposals are unlikely acceptable. The fact that the Prusian refugees settled in the areas that were adjacent to Kurpii land, beyond the publication of prof. Hedwig Chwalibińska is nowhere quoted or analyzed. 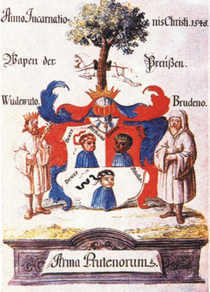 Families of the Prus coat of arms, basically do not exist in the history. 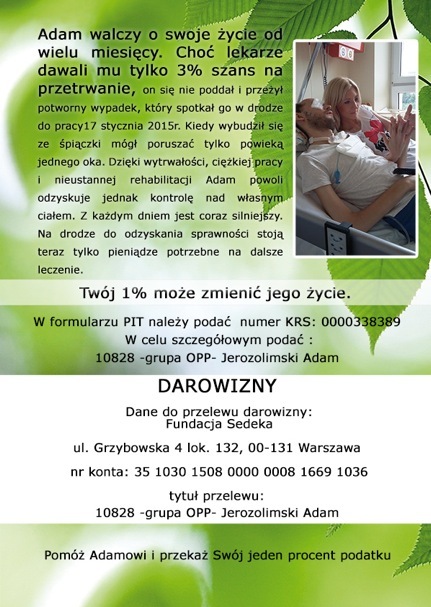 At present are living, only about 7000 families singly bearing the name Prus. However, in place of the Prusians appear "Masurians". 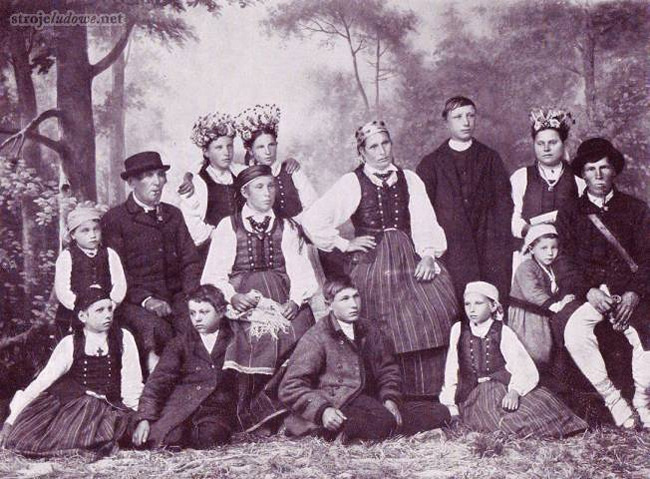 Group which is supposedly to be the descendants from Masovian settlers in the Prusai region. These supposed "Masurians" strangely, are identical with Prusia habits. Live according to the Prusian principles. Hunt as the Prusians. Fight like Prusians. Cultivate the land like the Prusians. They live in the same areas as Prusian refugees. Despite these facts, the history of Prusia dies and developing on to "Mazurian" - remains not known and why they are Slavic settlers. With them (the so-called Mazur) "evolved" the Kurpii and apparently Polish-speaking Prusians. Whoever they were. It begs to ask the question: who invented it and for what purpose, and why it's so breack-neck. Any historical analyzes based on open and logical inferences are worthy of study and discussion. Over the time a number of researchers were engaged about the origin of Kurpii population, and to no avail attempted to solve this riddle. Pedigree of Kurpii is still surrounded by mystery, but it does not mean that one can not make an explanation of this secret. It does not need a big effort, but only fair and in the name of logic piecing together current facts known to us. Approach to Kurpii ethnos by far remained in dismissive tone, they were treated as the "inconspicuous" people, have never been of greater interest in the circle of Poles, but by other inhabitants exploited and cheated. Over the past two centuries Kurpii ethnos researchers, many can count, they were very careless, rather hobbyists who percepted in Kurpii: the remnants of the Sudovia survivors, the population of the Carpathian mountaineers, Mazurians, Prusians, Highlanders, Tatars, Masovians, newcomers from other parts of Poland, foreigners, peasants fleeing from serfdom and various Polish families hiding in front of the royal judgments. But this is not the end, because most of them say that they are a Slavic nation. In addition, the name Kurpii associated with the Carpathians carp tribe. This situation smacks of jokes, and is duplicated in serials for over two hundred years. A lot of time was wasted, when the research could be carried out in the period of time when they were not yet dispersed and not polonised people. Currently the strongest theory, that the Kurpii are Slavic nation, and at this point there is no proof nor a reliable reason of justification. 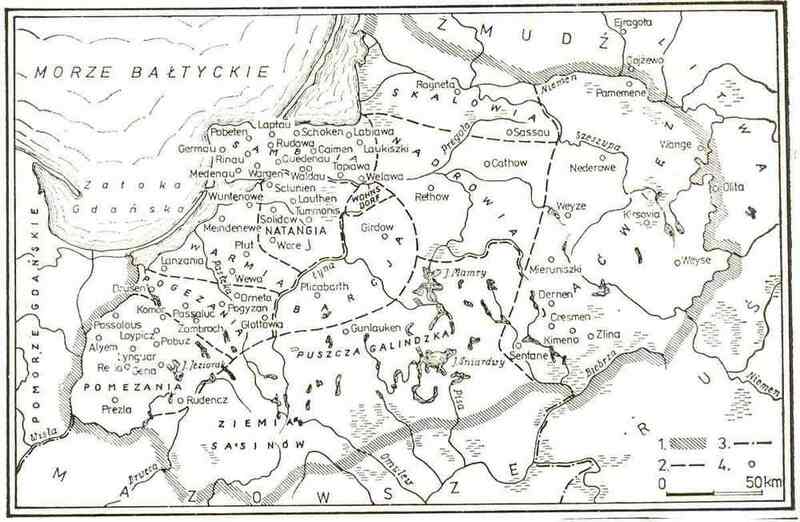 It remains to assume that it is a theory only on a prescription of long settlement within Poland border. Today, the term, being a Pole automatically associates that you are a Slav. 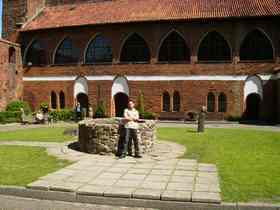 It may be that there is some other sense of this association, belonging and connected with spirituality to the Polish culture. Polish culture is multinational and not only Slavic. Kurpii on a daily basis cherish their own rich culture, and have it without Slavic threads. 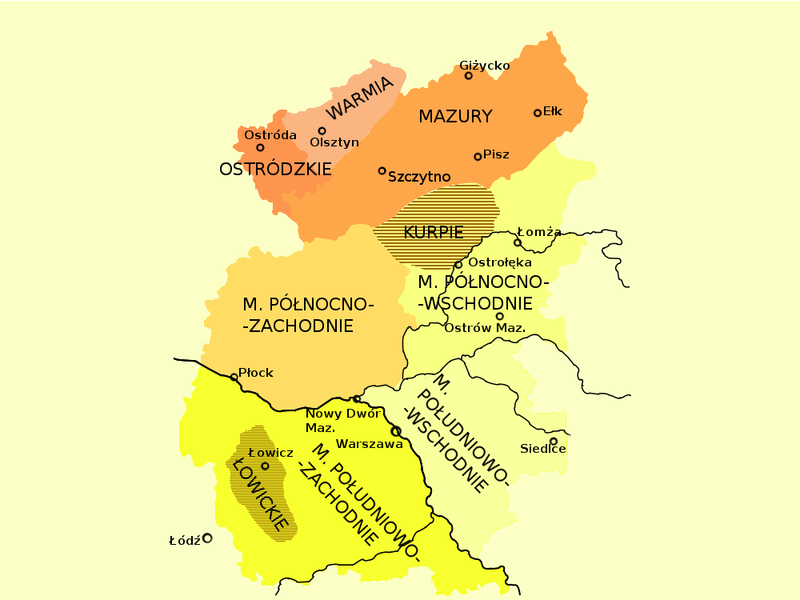 There are many distortions in terms of territorial belonging, as it was with the Culm land, considered to be indigenous Slavic land, however, was different, it was the native land of the Prusians. The same is with the Green Wilderness or Forest, that can be classified as the Galindian wilderness complex extension. Their inhabitants, the Kurpii in this wilderness been there ever since, and as it happened luckily for them, thus were able to escape the destiny of the Prus people. The boundaries if not determined by the king, without cartographers, were often if anything by some prince with his military team. To this day no one knows, how the border, its limits and accuracy became established of conquered Prusia. In the XIII century after the conquest of Prusia there was no treaty between the Crusaders and the Crown. Galindian land was taken by the Teutonic word, without resistance as the Galindian population was not there, with the exception of Kurpii hidden deep in the forest, about whose no one had any knowledge. The Kurpii lived in the primeval forest, swampy isolation, not being subject to any law, especially feudalism and serfdom and had no need to prove that they are free human beings. The same characterized the Prusians of not recognizing any sovereignty, and though Kurpii lived in harsh conditions, that required a great fortitude, they lived in freedom and without supervision, in the harmony with the nature. In their closeness it never been reported they had any conflicts, as well as between themselves. The destiny of Prusian refuges living near by the Kurpii was much different, they succumbed in dispersion. Some write that Kurpii people convene the settlement in the Green Forest aura in the XIV - XV century. And if that was going to be, exactly the same durable time the Prusians were escaping from the Teutonic barbarism and enslavement. When exactly Kurpii settlement really started nobody knows and probably that never it was. Naming them Kurpii, is associated with the Prusian word curpe, which means wooden sandal with a bast braided around the calf. This type of footwear was worn in Prusia and as well by the Kurpii. The Kurpii just as much as the Prusians lived in harmony with the nature. They were building a separate houses in forest, lauks, which, individually had their particular affiliation in the Green Forest wilderness. So it was the same, like with the Prusian lauks. For a long time village was not assumed. Their way of life was in complete symbiosis, and was dependent on the nature. Like the Prusians reap its benefits to satisfy all of life's needs. The main employment for Kurpii was bee-keeping, hunting, fishing, wood crafts, weaving. Worked as tar makers, charcoal burners, floated tree, ironworkers, mined and processed amber. These events have not been brought or borrowed from any other areas of the Crown, but well-known and grown among the Prusians. Kurpii were considered to be a very hard-working honest people from once given word they never were retreating. Kurpii did not come from nowhere. Although there are legends about their origin, they are without justification and only the fantasy, fanciful conjecture. It was enough that few centuries before, someone announced and printed them, they are Slavs, so it stucked to this day. Polish ethnographers usually as it happens if they do not have the answers, say that they are a Slavic nation, but among Kurpii long to seek such a evidence, any relationship to the community of the Slavs. In the way of Kurpii life, this evidence is missing. They lived in isolation, alienation and not in consistency with the Slavs. On the other hand, there are many indications, and it may be affirmed, that the nation Kurpii derived from the Prusians. Wherever we read, everywhere is avoided any mention of Prusians, and if, then only that they are extinct, but extensively it is being written about Mazurians. And here comes the Polish science, writes with the great generosity about Kurpii similarity to Mazurians. At the same time writing, that Mazurians are Poles therefore Slavs and again we have no word about Prusians. What has happened to the Mazurians, no one knows and no one dares to explain, and no one wants to talk. Mazurians using the "magic wand" disappeared in the Polish People's Republic. Today's presidents only shout "Wonderful Mazuria" or "God gave Mazury to us." Who gave it, it gave (and it was, inter alia, Stalin), but from whom took it, no concern and lack of knowledge. Letting go for a joke, Mazurians being called Polish or Prusians Mazurians and generaly called Mazurians, finally got upset. Not knowing who they are, migrated to Germany and now they became German Mazurians. As it is now, remains only the name Mazury, but no one knows anything about their former inhabitants where they are, who they were, and if at all they were. Unanswered question that science by passes because can not deal with it. 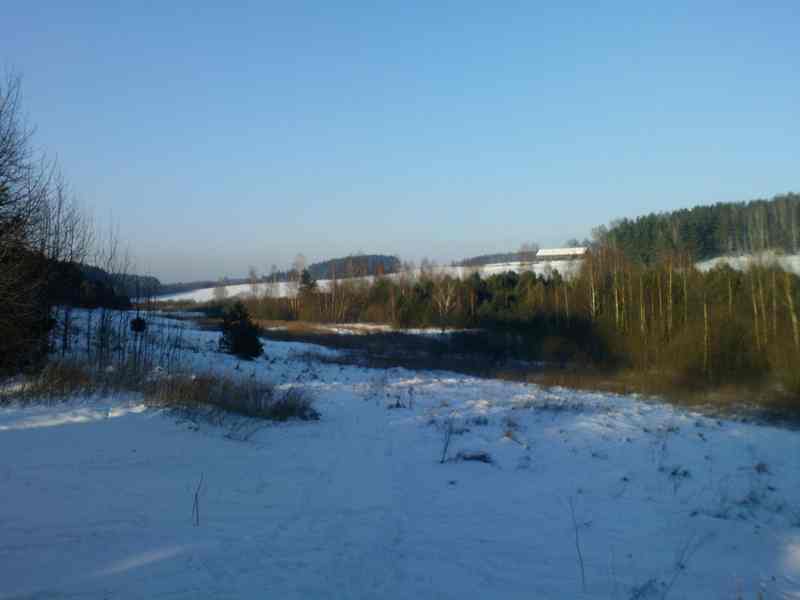 The land, Forest Green widerness, since ever, always has been inhabited by Kurpii, in other words many tens of centuries ago was inhabited by Kurpii. The Kurpii did not relocated during the conquest of Prusia, they have lived in the forest in their lauks, with their traditions, customs and with all their culture that they had with them. Their folklore was not being imported and nothing of it is similar to the Slavic culture. The land which they inhabited is a Galindian province who in turn as the ancient historians wrote were Goths. In Mazovia among Kurpii (those who worked for serfdom) they commonly were called Gotias, in relation to their Goths ancestors. Goths the proto-Celtic population. The same people lived in the province of Pomezania and Pogezania. Kurpii were and are Prusian natives, living in the Green Forest from immemorial time, and it is their land, which to some extent is also an extension of melliferous Bartia. Their safety and survival was due to the hidden settlements in the Green Forest in the thicket they remained invisible. During the Poland’ partitions, Russians could not cope with them, therefore began the depletion of forests by felling of trees. If today we are talking about Kurpii, is above all, about their wonderful folklore, music, keeping the old customs and traditions. The church for a long time was not interested in Kurpii, but when it was they became eager Catholics. They adopted a new faith and their culture, traditions and customs enriching the church rites. One does not meet any other similar community as Kurpii that over the centuries living peacefully, but always been in combat readiness. Having right by the border neighborhood the barbaric Knights, their population had to be always on guard for their habitat of the constant danger. 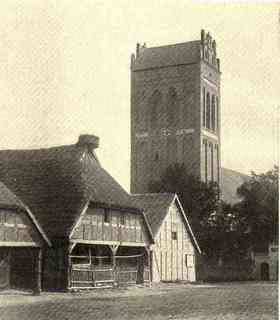 According to chronicler records, during the second Prusian uprising Pogezania leader Linka together with Barths in 1273, had struck at Elbling, and despite heavy losses set on the Teutonic Knights, because of fresh reserves arrived from Germany, did not allow him to get the fortress. One year later, the European knights struck at the Pogezania fortress - Warmian Lidzbark. The defenders with the insufficient forces were unable to mount a resistance and had to leave. 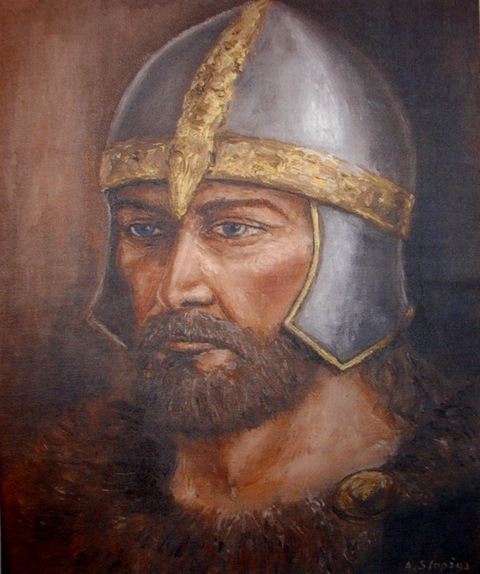 In 1277 Master of the Teutonic Order, famous for his cruelty, Konrad von Thierberg attacked rebellious Pogezanians with massive killings, taking into slavery and expelling the population from the province. Linka a capable Pogezanian leader, was not captured by the enemy and did not die, but without a trace behind him, disappeared. It would not make any importance in the further discussion, if it was not known that part of Pogezanians fled from the Crusaders and moved to an empty area of Galindia. Their further fates are not known. Pogezenians were a very brave warlike people, and often from the Crusaders met a very cruel repressions. The hypothesis that their flight ended in Green Forest and that their descendants lived in such a compact organized ethnos as Kurpii can not be anything but considered. In vain to look for this thread in the literature. The disappearance of Linka with many warriors from Teutons, veterans of the fighting could be attributed to the inhabitants of Green Forest. Noteworthy, including asking, why Kurpii settled in such a difficult surrounding, which was the Green Forest? The choice was the result of the escape from German barbarians, they had to settle in such a difficult environment, that did not give opportunities for the invaders and was excellent for the defense. In life, nothing happens without a reason. Murders made on Prusian, remained not unnoticed with them and certainly remembered for generations. Not natured with possesivenes, did not fight for territorial gains, the same as it was with the Prusians, and if anything, fought for the family protection and their freedom. Music, singing and dancing are inseparable parts of Kurpii life. This is what we owe to them that many of the old content and forms have survived until today. Without any doubt, the artistic soul lies with Kurpii. Surely this wealth of folklore was with them, and the same as the Prusians pompously celebrated every occasion with music and singing. With not an easy life in primeval forest and struggles with a hardship, for sure their folklore was not created in the Green Forest, neither arrived from the import. It is a centuries-old heritage, with origin from Prusia. Folklore treasure held by Kurpii, held for more than seven centuries, no where else has equal.